Gail Ann (Ward) Potts passed away peacefully on Thursday, August 30, 2018 encompassed in love and surrounded by her family. Born to Halsey “Hap” and Irene (Belmont) Ward on January 18, 1958 in El Dorado County where she remained her entire life. She was a bicentennial graduate from Ponderosa High School (1976). She spent many years serving the community as a waitress and hostess at Poor Red’s, and then as the Environmental Services Manager at Gold Country Retirement Center where the last 13 years of her life devoted to the residents and their families. 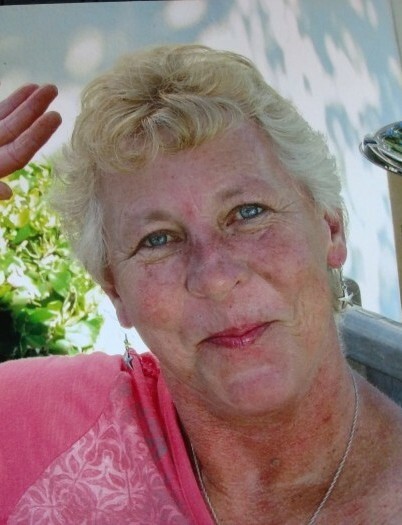 Gail was a very special person to many different people who all share jubilant memories of her infectious giggle, cheery smile, and sparkling eyes. Her gleeful personality and welcoming demeanor were a beacon for friendship and fun. Her life both professionally and personally revolved around connecting with people. Gail was passionate about everything she did and everyone she met. If you called her a friend, she considered you family. One of her biggest joys in life was the time she spent with her four granddaughters who called her “Denna.” They were her pride and joy, and she could not help but to brag about them or to share their antics. Her Piccadilly, Peep, Pumpkin, and Pineapple as she affectionately called them. As dedicated as she was to her many roles in life, she was an even more dedicated grandmother. She was a go-getter and always had a mission in motion. If something needed to be done she was the first to volunteer and see it trough to completion. In her life she was loving, compassionate, energetic, caring, and selfless. Gail loved fiercely and unconditionally. Her spirit so full of happiness was a great gift to us all. Survived by her husband of 29 years, Mike Potts; her son Aaron Potts; her daughter Ann (Annie) and her husband Christopher Angelich; her four granddaughters Maddison, Cheyenne, Sophia, and Mallory. As well as her siblings and their spouses; Francis Shenefield (Frank), Pat Ward, Jim Ward (Betty), Judy Bray, Kathy Hunter (Gary), John Ward (Sandy), Forrest Ward, her many nieces, nephews, great nieces and nephews, and one great-great nephew. As well as her family related to her by marriage. All who she loved dearly. Her spirit will be carried on through every person she came in to contact with. A Celebration of Life will be held on Sunday, September 16, 2018 at the El Dorado Community Hall 6139 Pleasant Valley Rd, El Dorado, CA 95623 friends and family are encouraged to attend. A private funeral will be held at a later date and is reserved for family. If you would like to send flowers, the family is asking that you please send them to the residents of Gold Country Retirement Center.